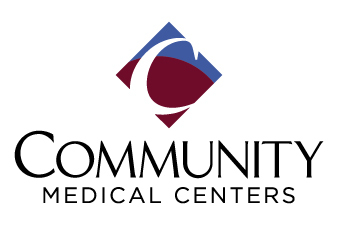 Community Medical Centers is the largest provider of healthcare services in central California. We offer an extensive range of services for patients of all ages, from pediatric specialties to comprehensive cancer treatment to mental health services. Our goal is to give you with the highest quality of care possible as we continually incorporate the most advanced medical technologies, recruit outstanding doctors in new specialties and further expand our partnership with the University of California, San Francisco School of Medicine. Community Regional Medical Center is home to the only comprehensive burn center and Level 1 trauma center in the area. A leader in comprehensive cardiovascular services, Community Regional offers more advanced cardiac treatment options than any other hospital in the Valley. Community Regional also provides comprehensive labor and delivery services, as well as a Level 3 neonatal intensive care unit (NICU) that delivers the highest level of sophisticated neonatal care for critically ill babies. Clovis Community Medical Center was voted “Best Hospital” five years in a row by The Fresno Bee’s Central Valley’s People’s Choice Awards. Its Family Birth Center, one of the region’s premier birthing and maternity care facilities, welcomes more than 5,000 babies annually. The Marjorie E. Radin Breast Care Center at Clovis Community is one-of-a-kind in Fresno County and provides early detection, advanced treatment, and holistic care for breast health conditions. Community Cancer Institute rivales centers in Los Angeles and the Bay Area. It's central California’s premier comprehensive cancer care center – and the only one in the area with outpatient services in a single location. Fresno Heart & Surgical Hospital rated among the top 5% in the nation for outstanding patient experience for the ninth year. And its cardiovascular intensive care nurses earned the Beacon Award of Excellence in 2017 — for the third time — from the American Association of Critical-Care Nurses. The Metabolic and Bariatric Surgery Program at Fresno Heart & Surgical is the busiest program in California and is nationally accredited by the Metabolic and Bariatric Surgery Accreditation and Quality Improvement Program.